Bell first knocked on lg2’s door back in 2008, mandating the agency to produce campaigns on a local and national scale. It was the start of a formidable business partnership. In 2010, Bell asked us to rethink their entire philanthropic approach. Together, we decided to focus the majority of their efforts on mental health, as it was an underfunded, misunderstood, yet important cause. It was also virtually invisible, even though 1 in 5 Canadians suffer from mental health issues. The Bell Let’s Talk campaign was born. But Bell still needed to motivate busy, oversolicited people to take action. How? By coming up with a donation strategy that was based on a simple insight: donating had to be effortless. As simple as calling your mom, firing off a tweet or texting your friend – things that people do every day. Of course, Bell has been connecting people together for over 135 years, so by leveraging its expertise, we could encourage and support a meaningful cultural dialogue. 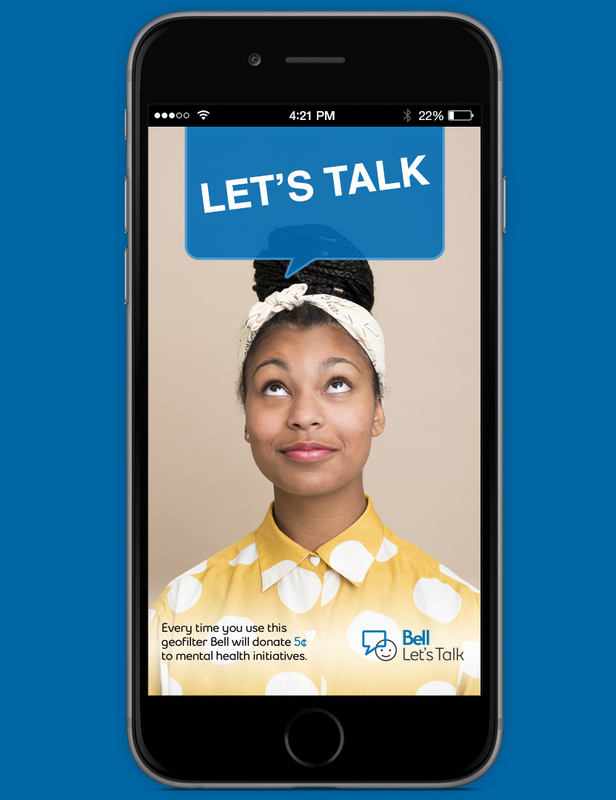 The donation mechanism is very simple and has remained unchanged for 7 years: Bell contributes 5 cents towards mental health initiatives for every interaction that takes place on Bell Let’s Talk Day. The 24-hour marathon is supported by a massive campaign that intensifies as the big day draws closer. And the event has become such a big deal in Canada that #BellLetsTalk is the world’s most popular hashtag on Twitter that day. In order to take the taboos surrounding mental health and turn them into something that people all over the world want to talk about, we needed to build the conversation from scratch, talk openly about it and encourage people who suffer in silence to open up and reach out for help. With each new year the campaign is refreshed, new components are added and everything is adapted to stay up-to-date with what's happening on social platforms. Our multidisciplinary team has gained valuable experience that is put to use in our Let’s Talk Day operational centre. Social media analysts, copywriters, content creators, account executives and clients roll up their sleeves and get to work following and analyzing the conversation, feeding the discussion and reacting in creative, unexpected ways to maximize engagement throughout the 27.5 hours the campaign is active. Intense? Perhaps. But it’s still our favourite day of the year. 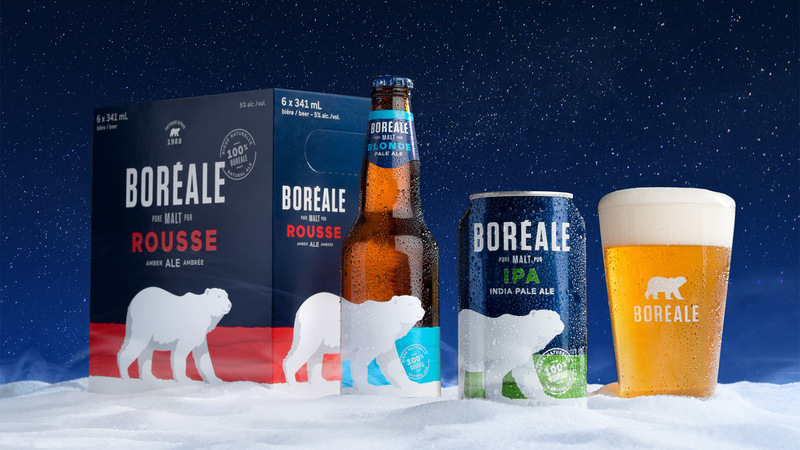 The sustained success of the campaign has even convinced Bell’s senior management to integrate the initiative into their marketing mix and make it one of their important annual events. What started out as an idea and a desire to make a difference has morphed into a powerful social movement. And the day itself has become a countrywide tradition. That’s what we call a huge success. Bell is Canada’s telecommunications leader, providing customers Internet, TV, mobile and home phone services, and business communications solutions. Through the Bell Let’s Talk initiative, they’ve donated a whopping $86 million to mental health causes since 2011. 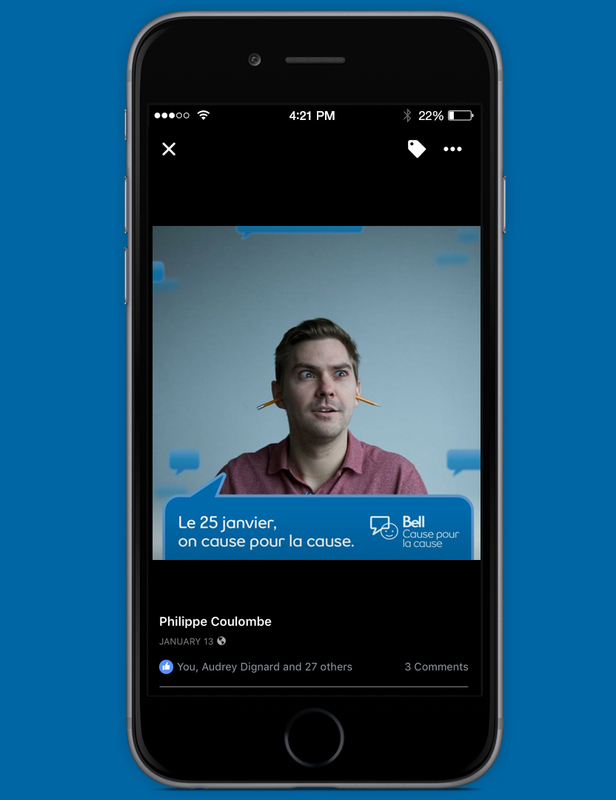 To learn more, visit letstalk.bell.ca.